Take one or all of the Action Steps below to help protect the Kirkwood-Cohansey Aquifer, the water supply for the Pinelands and most of southern New Jersey. Unfortunately, the state Pinelands Commission has lost its way as politicians have sought to force approval of pipelines and other development projects in violation of the rules that exist to protect the Pinelands, its plants, wildlife and water. Tell Governor Murphy you want to see the Pinelands Commission get back to its job in a science-based way so we can focus on protecting these places for future generations to enjoy. 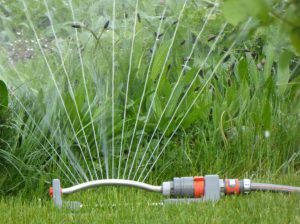 2) Plant a Rain Garden – Financial Rebate Available! The South Jersey Landscape Makeover Program is a unique program to provide homeowners with expert advice and financial assistance to create rain gardens and other “green infrastructure” to capture polluted stormwater and prevent it from entering our lakes, rivers and bays. Farmers and municipalities are also available for support and grants. Let the aquifer float your boat by paddling in the Pine Barrens on the Batsto or Mullica Rivers with PPA’s Pinelands Adventures, which opens for the 2018 season in April. Great for all ages and abilities. Guided and self-guided canoeing and kayaking trips. Remember, when you are canoeing or kayaking in the Pine Barrens you are paddling in water that flows directly out of the ground from the aquifer to form the creeks and rivers. 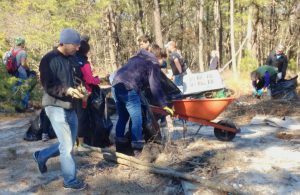 Looking to get outside and volunteer in the Pine Barrens? Join our stewardship coordinator Jason Howell to remove potential threats to ground water, restore the damage, protect the forests against continued abuse, and promote responsible use of the lands. These work days are critical ways to protect against water degradation and habitat loss. By supporting local farms, you support protection of open space and help prevent farms from being turned into housing or commercial developments. In doing so, you ensure that the aquifer can be recharged by rainfall and other precipitation. Farmers committed to conservation and groundwater protection are great partners in the protection of the aquifer and the Pinelands. 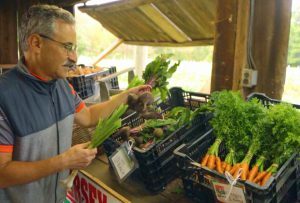 Find a local farm or farmstand near you at Jersey Fresh or VisitNJFarms.org. Gardeners and homeowners can get into the action this spring by focusing on adding native plants to their landscapes. A great way to help preserve our native flora — and our environment in general — is to plant native vegetation around our homes and businesses. Luckily, New Jersey residents have lots of beautiful and interesting native plants to choose from. The Pinelands Preservation Alliance holds a native plant sale and this year’s sale will take place April 21st from 11 am to 2 pm. Learn more here. 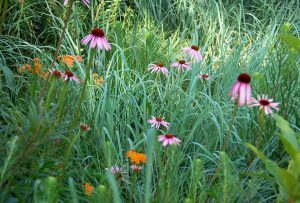 When you landscape with native plants, not only are you likely to save money and resources by using less fertilizer, soil additives, and water, you are also helping to strengthen the complex web of connections linking native species and ecological processes in your local ecosystem. Learn more about landscaping with native plants at JerseyYards.org. Illegal off-road vehicle use is destroying wetlands habitats throughout the Pinelands. 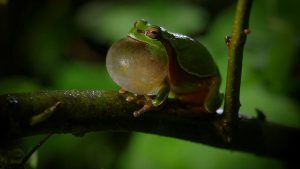 These habitat are home to many rare species like the Pine Barrens Treefrog and unique insect-eating plants and rare orchids. The state Pinelands Commission has identified over 220 sites in Wharton State Forest that have been damaged by unlawful ORV activity. Report environmental crimes and destruction of public lands by illegal off-road vehicle use by calling 1-877-WARN-DEP. Join us in our campaign. Save the Source is a campaign sponsored by Pinelands Preservation Alliance, which is dedicated to protection of the natural, cultural and recreational resources of the New Jersey Pinelands. Funding provided by the William Penn Foundation.